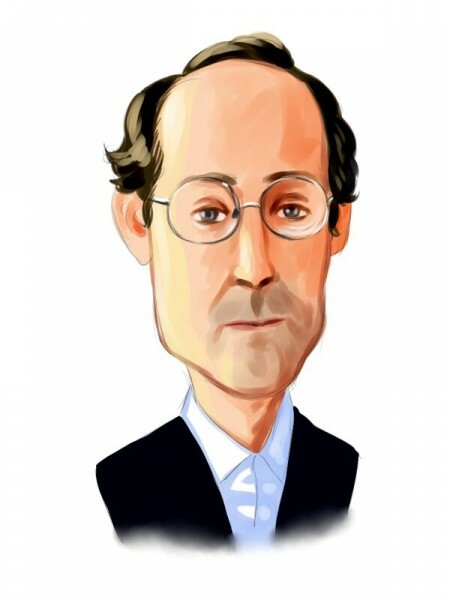 Fir Tree, founded by Jeffrey Tannenbaum, has revealed in a recent 13D filing that it has further cut its activist position in CDK Global Inc (NASDAQ:CDK), to 10.72 million shares, accounting for 6.7% of the company’s outstanding common stock. That amounts to a decrease of about 750,000 shares since June 30, based on the reported holding of Fir Tree as of that date, courtesy its latest 13F filing. Fir Tree was founded by Tannenbaum in 1994 and is based in New York. The fund manages a public equity portfolio valued at $6.28 billion as of June 30, and primarily invests in technology and healthcare stocks, which accounted for 49% of its portfolio on that date. The firm’s public equity portfolio shed a noteworthy chunk of its holdings in the first six months of the year, having contained over $9.59 billion in equities at the end of 2014. It is well-known that hedge funds have under-performed the S&P 500 based on net returns over the past several years. But we are missing something very important here. Hedge funds generally pull in strong returns from their top small-cap stocks and invest a lot of their resources into analyzing these stocks. They simply don’t take large enough positions in them relative to their portfolios to generate strong overall returns because their large-cap picks underperform the market. We share the top 15 small-cap stocks favored by the best hedge fund managers every quarter and this strategy has managed to outperform the S&P 500 every year since it was launched in August 2012, returning over 118% and beating the market by more than 60 percentage points (read the details). Because of this, we know that collective hedge fund sentiment is extremely telling and valuable. CDK Global provides a wide range of resources to the automotive industry, including front-end and business office solutions for auto dealerships, and even a social media solution called ADP Social Media, which helps dealerships reach out to and connect with customers. The latest sale by Fir Tree continues the trend of it trimming its position in its top pick. Fir Tree opened a position in CDK Global Inc (NASDAQ:CDK) during the fourth quarter of 2014, shortly after the company was spun off from Automatic Data Processing (NASDAQ:ADP). The position, first revealed in early November, consisted of an even 14.0 million shares, amassing 8.72% of the company’s common stock. That was bumped up to 14.2 million shares by the end of the year. However Fir Tree has since shed shares in the each of the past two quarters, selling about 1.35 million shares in the first quarter, and another 1.33 million shares in the second quarter. Of further note is the fact that Fir Tree changed its position from passive to activist in December. Despite only recently having been spun off as a separate public company, CDK Global is now reportedly seeking a deal from a private equity firm to take it private.